The app dedicated to collectors now available on Android. The app dedicated to collectors of Euro coins is now available also for devices with Android operating system. €2 "30 Years of the EU Flag"
In July 2015, the 19 euro-area countries will jointly issue a commemorative euro coin to celebrate 30 years of the EU flag. Regardless of which country issues the coin, it will bear the same design on the national side, normally reserved for a motif specific to that country. France €2 "70 Years of Peace in Europe"
For the first time, a 2 euro commemorative coin will make part of the Europa Star Programme. Lithuania has just adopted the euro and became the 19th member of the eurozone! 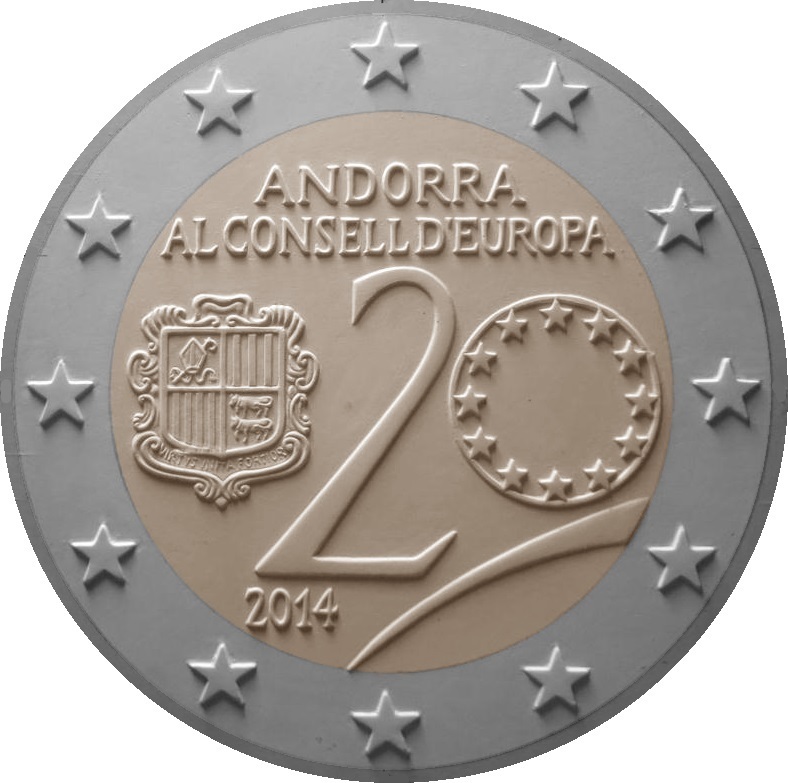 Andorra €2 "20 Years in the Council of Europe"
Andorra will issue a 2 euro commemorative coin dated 2014 to commemorate its 20 years in the Council of Europe. The coin will be issued in March 2015. Yesterday, 1st December 2014, euro starter kits containing all the denominations of the Lithuanian euro coins were made available to the public. Lithuania will adopt the euro on 1st January 2015 and these coins cannot be used for purchasing before this date... but collectors can start swapping these coins! Spain has updated the design of the Spanish national face of the 1 and 2 euro coins to be produced from 2015 in order to illustrate the change in the position of the Head of State. 1 and 2 euro coins from previous years featuring the old Spanish national face will remain valid. The designs on the other denominations remain unchanged. Spain €2 2015 "Cave of Altamira"
Finland €2 "100 Years since the Birth of Ilmari Tapiovaara"
The designer and interior decorator Ilmari Tapiovaara (1914–1999) ranks amongst the most influential figures in Finnish design. He is remembered for work such as the Domus and Mademoiselle chairs. Italy Galileo Galilei €2 Minted! Italy €2 2014 "200 Years of the Carabinieri" Just Out! New look and new contents for the suite of apps dedicated to collectors. The suite of apps dedicated to collectors has been updated, with versions 1.2 for Mac, 1.4 for iPad and 1.8 for iPhone. Netherlands Euro Coins "€2 Commemorative Coins 2007 & 2009 Coin Cards"
Euro Banknotes "€5 Euro Banknote from Second Series Partially Revealed"
Malta Euro Coins "2011-2015 Constitutional History Series Explained"